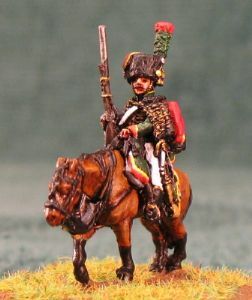 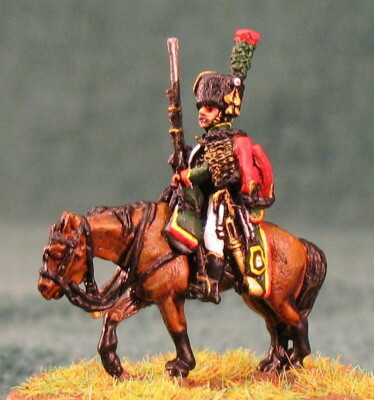 As seen, French Chasseur a Cheval of the Guard. 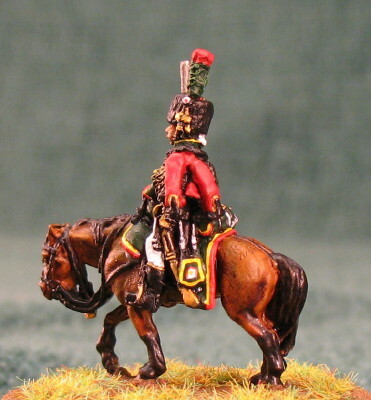 These figures make an ideal gift for anyone interested in the Napoleonic wars, standing roughly 1 and 1/2 inches (38mm) high in including the base. 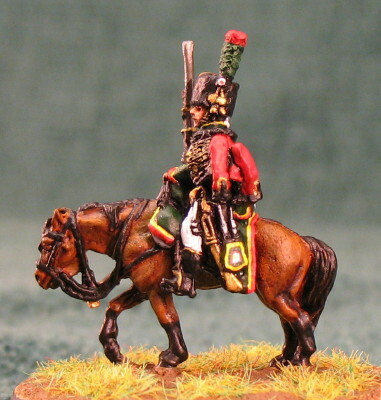 I will be painting a range of single display figures covering all the major nations that took part in the napoleonic wars, so start your collection today. 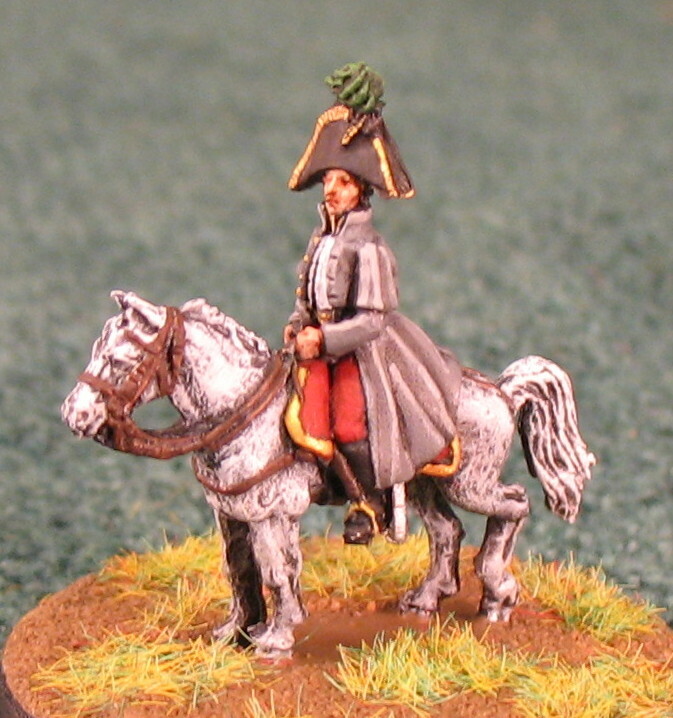 All figures are painted by myself in the UK. 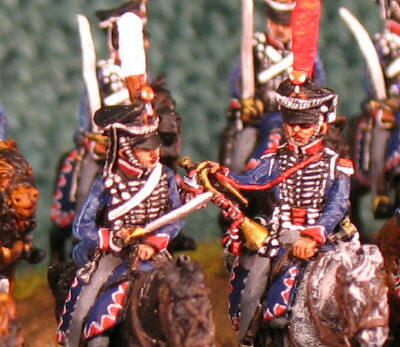 These figures are small and contain lead not suitable for children.